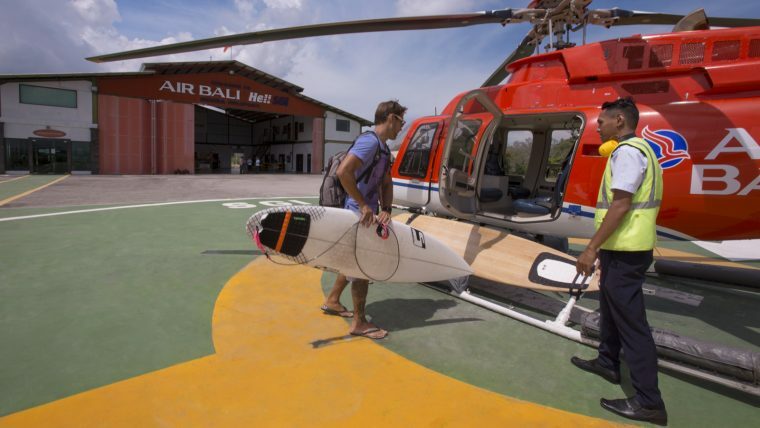 Tropicsurf, a company based at the Four Seasons Jimbaran Bay that offers bespoke surf tours and international coaches, is launching Asia’ first Heli-Surfing tour. 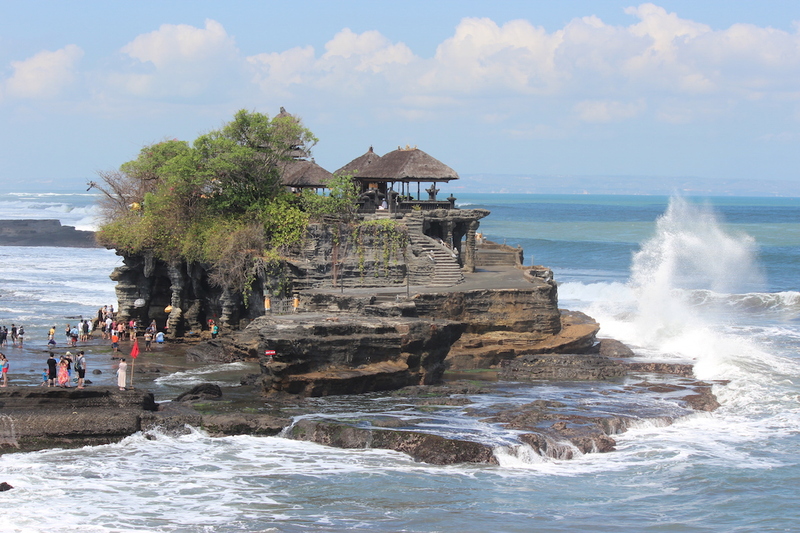 The experience is available exclusively to guests of Four Seasons Resorts Bali. 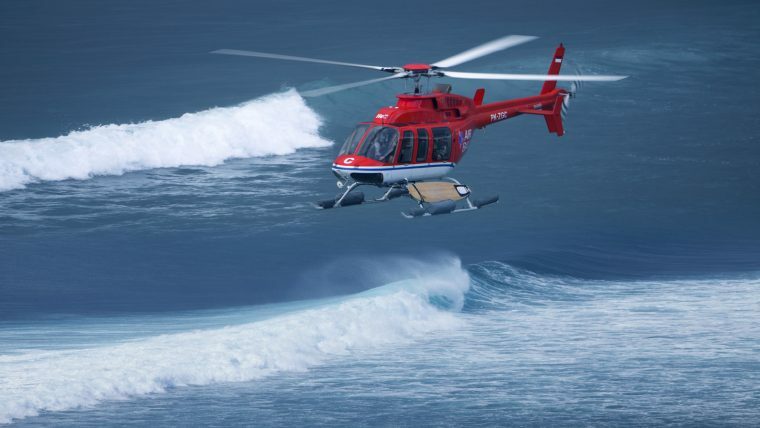 On these tours, surfers can take a helicopter day trip to Grajagan (often called G-Land), an internationally-renowned surf break on East Java, Indonesia. Tropicsurf’s founder and director, Ross Phillips, said that the company’s mission was “to maximize wave-count and wave-quality for our guests and it doesn’t get much better than G-Land.” Experienced surfers can enjoy one of the world’s best breaks and there are some good spots for beginners too that are often fairly empty. Never before have surfers had such easy access to spectacular waves that are hard to reach by land. By helicopter, G-land is just a 45-minute flight across the strait. 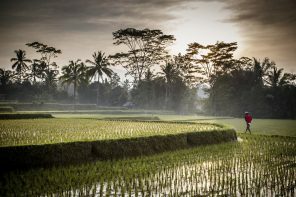 And the break itself isn’t the only draw; spectators can bask in the beauty of Grajagan Bay’s jungle and beaches before everyone is whisked back to the Four Seasons Jimbaran Bay before the sun sets. 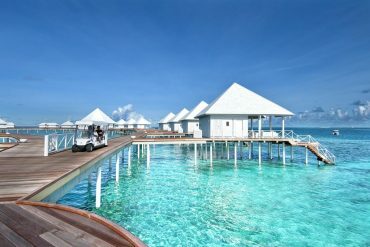 Tropicsurf also offers speedboat transfers to G-land. And for those who prefer to remain in Bali, the company offers boat tours to the island’s best breaks and lessons for beginners in Jimbaran Bay. The best times to hit G-land are April through November at mid- to high-tides. 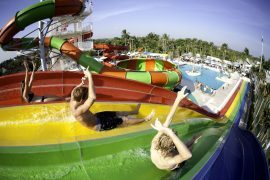 Tropicsurf’s guides will advise guests on the best times to go depending on surfing level and conditions. The trips are recommended for experienced surfers, but there are smaller waves for beginners to practice on as well. The helicopter can hold up to four guests. Be prepared to shell out some serious dough for this experience: the price is $10,000 USD. 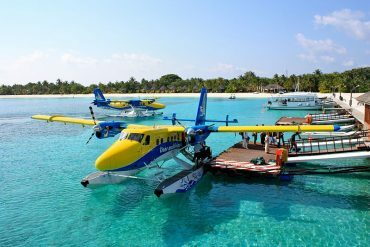 This includes private helicopter charter to and from Bali, transfers to and from Bali’s heliport, the charter of a private speedboat at G-Land to access various waves, a surf guide, insurance, and more. So, if you’re ready for the experience of a lifetime—and a lifetime’s worth of bragging rights, contact Tropicsurf and start planning your getaway today!